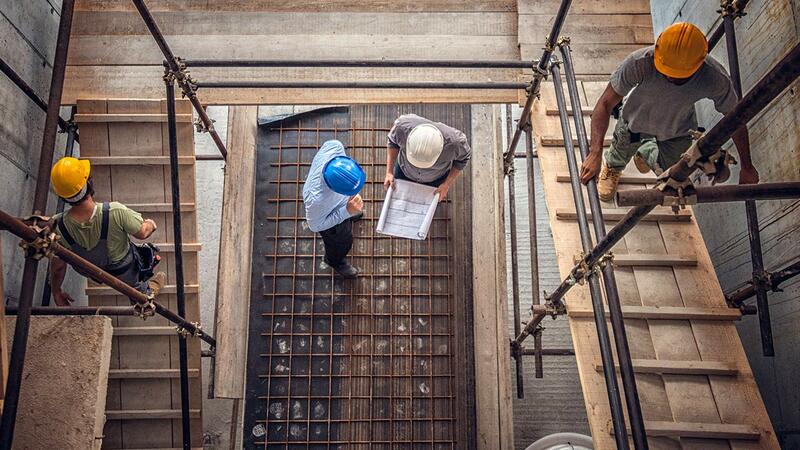 Let’s take a look at three important ingredients for an up-to-date marketing strategy that lets you stand out from the competition in a dynamic construction industry. People want to do business with people they trust, which is why everyone in your company has a responsibility to create a superior personal experience for clients, prospects, employees, suppliers, partners and even community stakeholders. Strong follow-up. Driving phone calls and website traffic are important, but what happens after that initial lead? Responding quickly and putting the prospect’s priorities front and center go a long way toward establishing fruitful business relationships. Client retention strategy. Remember, it costs less to retain existing customers than it does to acquire new ones. Staying in touch with clients, answering questions, letting them connect on social media and publishing a newsletter or blog are excellent ways to keep your name top–of–mind so past clients know who to call for their next project. Client relationship management technology helps you track every touch point and get the most value out of each individual client relationship. Let your clients do the marketing. Prospects trust the opinions of regular folks like themselves, so let your satisfied customers share testimonials about how your business has helped them. Encourage clients to post reviews on Google, Facebook and other appropriate websites. Face-to-face contact. In-person activities build awareness while establishing relationships with key decision makers. This can include joining industry associations, chambers of commerce and other business groups, attending expos or conferences, and connecting with building material companies. You can generate additional goodwill by supporting community groups and charitable organizations. When a prospect begins looking for a contractor for that new house or office building, your website is likely going to be their first introduction to your business. If it doesn’t make the right impression, they’re going to move on to a competitor. Think of your website as the hub and your other marketing tools as the spokes directing prospects to visit you online and make that first contact. Go mobile. Did you know that over half of global web traffic now comes from mobile devices instead of computers? Mobile devices account for most of the traffic to social media sites like Facebook, Pinterest, Twitter and LinkedIn, as well as about 60% of online searches. That’s why our last bullet point in the section above referred to “mobile friendliness,” and why your marketing in other channels should keep both mobile and desktop users in mind. Optimize your website for search. When a prospect searches for “building contractors near me” on Google, will your business show up on the first page? That’s what search engine optimization is all about — designing website pages so they rank well on search engine results. Include relevant keywords in titles, descriptions and headers, as well as in the backend code for individual pages. Place accurate directory listings to help prospects find you and to create valuable inbound links to your website. Get social. From asking for referrals to looking for company information, many consumers turn to social media when researching products, services and businesses. A Facebook business page is a good way to build awareness of residential construction and other home-based services, while LinkedIn helps you connect with industry peers and establish valuable B2B contacts. Houzz is another excellent platform for reaching people who are actively searching for contractors. Your profile can include images of your work, reviews and links to your website. Advertise online. Online advertising, on search engines, social media or other websites, lets you reach users most likely to respond to your message. For example, Google Local Service Ads appear on search results pages when people are searching for your particular service, such as home building or kitchen remodeling. Prospects can click to call or send an online message. You are charged on a pay-per-lead basis and can customize your budget to be as aggressive or conservative as needed. Optimize offline channels to drive leads. Hoarding signage is a great way to build awareness and encourage people to call or visit you online. Direct mail places your contact information right in the prospect’s hands, and sending press releases to appropriate media outlets makes people aware of your organization’s accomplishments. Effective marketing, whether in person, online or offline, differentiates you from your competitors and helps you reach the best prospects for your services. And if you’re looking for exceptional service and quality materials to get the job done right, contact Mid-City Lumber to speak with our friendly experts.